A skin rash refers to a condition in which a certain area of your skin becomes irritated or swollen. 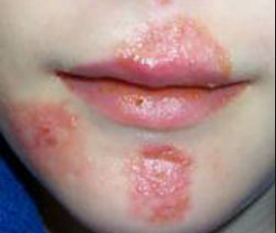 Skin rashes may include scaly or red skin, skin sores or bumps, and burning or itchy skin. 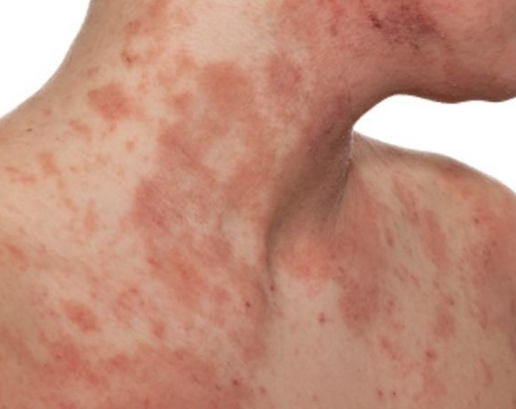 So many medical conditions may cause skin rashes. Sometimes, skin rashes develop all of a sudden, but they may sometimes develop more slowly. The causes could be more serious if you notice itchy rash all over body. Keep reading to learn more about it. If you develop a rash with intense itching, it could be the rash of chicken pox. 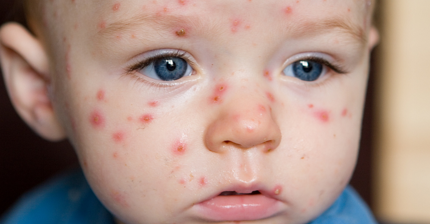 You will notice small red spots on the scalp, face, trunk, and even the limbs if what you have is in fact the rash of chicken pox. 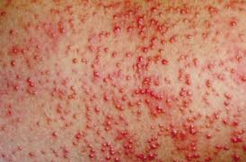 These small spots later convert into vesicles and papules, which will then convert into pustules. They heal by crusting. If you develop a rash and have high fever with respiratory symptoms such as sore throat and sneezing, this could be due to measles. You are going to find the rash behind the ears and on the face as well. There will be small papules that join to form larger lesions. As it grows, it appears on the trunk and even spreads to the extremities including soles and palms. It disappears in the same order of appearance. 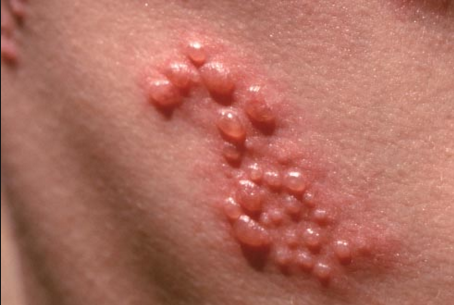 If you have a rash that is sensitive to touch and is accompanied by burning, pain, or numbness, this could be the rash of shingles. You usually experience pain first along the nerve and the rash appears after a few days. You may develop fluid-filled blisters and experience severe itching. These blisters break open and crust over. 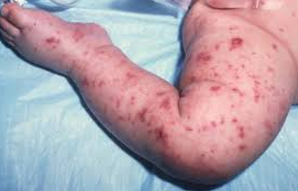 You may develop itchy rash all over body due to a contagious skin disease called impetigo. Caused by streptococcal or staphylococcal bacteria, the disease affects the face and other exposed areas of your body. You will notice superficial blisters all over your body that will be filled with pus. These blisters rupture quite easily. It refers to the inflammation of the tissue surrounding the brain. 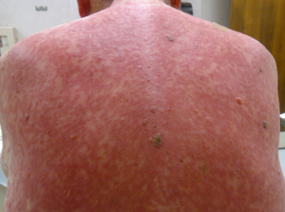 This kind of rash will not blanch with pressure. If your rash is in fact due to meningitis, you should seek immediate medical attention, especially if you also notice symptoms like headache, fever, altered mental status, and stiff neck. If you have hives, you will notice a skin rash that appears all of a sudden and causes itchy, pale swellings on your skin. 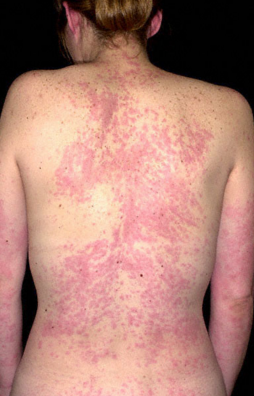 The rash can appear anywhere on your body and burns severely. 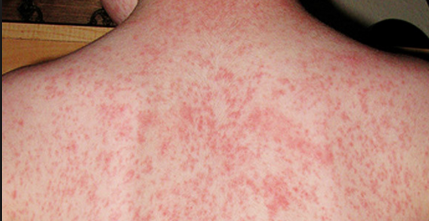 About 20% of people experience hives at least once in their lives. Hives may take a few days or a few weeks to go away. Heat rash or prickly heat may be the reason why you experience itchy rash all over body. Your skin will become red and itch a lot. You may also notice small skin bumps. The rash appears when sweat gets blocked in your pores. Though it is quite common in babies, anyone can develop heat rash at any age. You usually develop it in areas where skin rubs against skin, such as in skin folds of the breasts, neck, underarms, and groin. It is the inflammation of the skin and makes your skin to become extremely dry and itchy. It makes you scratch your skin that in turn leaves your skin inflamed. It is not contagious and is usually triggered by the use of soaps, detergents, and synthetic fibers. One of the most common causes of having itchy rash all over bodyis allergy. Allergic reactions can be mild or severe. You develop a rash when you are exposed to an allergen. If it is a mild reaction, you may only develop rashes over your body with itching. Severe allergic reactions may also lead to the swelling of the mucus membranes and cause blisters to develop. Some drugs can also cause allergic reactions. The list includes cephalosporins, penicillins, rifampicin, and ACE inhibitors. Some drugs such as allopurinol and acetaminophen can cause a serious type of reaction called Stevens – Johnson syndrome. Make sure to keep the rash cool and moist. You may even soak a clean cloth in ice water and put it on the rash a few times a day. Avoid direct exposure to sun because heat can cause itching. Try an oatmeal bath for relief. Do not scratch the area because scratching will make things worse. Keep your nails trimmed to avoid scaring. Wear breathable clothing to avoid making your rash worse. Use gentle soaps and use a mild soap to watch your clothes. Do a relaxation exercise daily, especially before going to bed. This will help manage stress and relax your muscles to ease your symptoms. You notice additional symptoms such as fever, joint pain, breathlessness, body aches, swollen tongue, headache, and sore throat. You notice your rash become extensive. You have fluid-filled blisters and you notice signs of infection. You develop a rash after taking a certain medication or being stung by an insect. What's more, you should go see your doctor if you have itchy rash all over body with symptoms such as welling, bleeding blisters, and extensive peeling of skin. Seek immediately medical attention if your skin starts changing colors.